For a limited time only, Burke VW and Burke Subaru—two proud parts of the Burke Motor Group family—are hosting a number of leasing specials for select 2018 and 2019 models. Regardless of whether one is leaning towards a Volkswagen or Subaru model, now is an optimal time to start leasing. While supplies last, the dealerships are including $500 Visa gift cards with the signings of every lease. Bona fide customers are sure to appreciate this extra spending money, especially if they have remaining holiday shopping on the horizon. 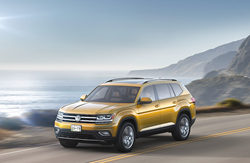 At Burke Volkswagen, the 2019 Jetta S, 2018 Tiguan S 2.0T 4MOTION and 2018 Atlas 3.6L S 4MOTION are all currently available with special leasing. Each vehicle can be leased in one of two payment plans. By offering more than just one leasing special for each model, the dealership aims to provide a wide variety of prospective customers with advantageous leasing opportunities that accommodate their respective circumstances. Simply put, Burke VW hopes to make a deal with every interested party whose credit qualifies for any of these limited-time specials. Please note that not all customers will be eligible. For more information about these leasing opportunities and their credit requirements, curious consumers are encouraged to call 855-459-9657 and speak with a sales representative from the dealership. Burke Volkswagen is located at 519 Stone Harbor Blvd. in Cape May Court House. Meanwhile, at Burke Subaru, the 2019 Outback 2.5i CVT, 2019 Forester 2.5i CVT and 2019 Impreza 2.0i 5MT are all available with limited-time leasing opportunities. To learn more about the specifications of each promotion, interested parties may contact the Burke Subaru sales team by calling 888-453-3452. Burke Subaru is located at 227 Bayberry Dr. in Middle Township. To view the available models at either dealership, all are welcome to visit http://www.burkemotorgoup.com.